The world famous Safari writing instruments are popular for their modern style and dependability. 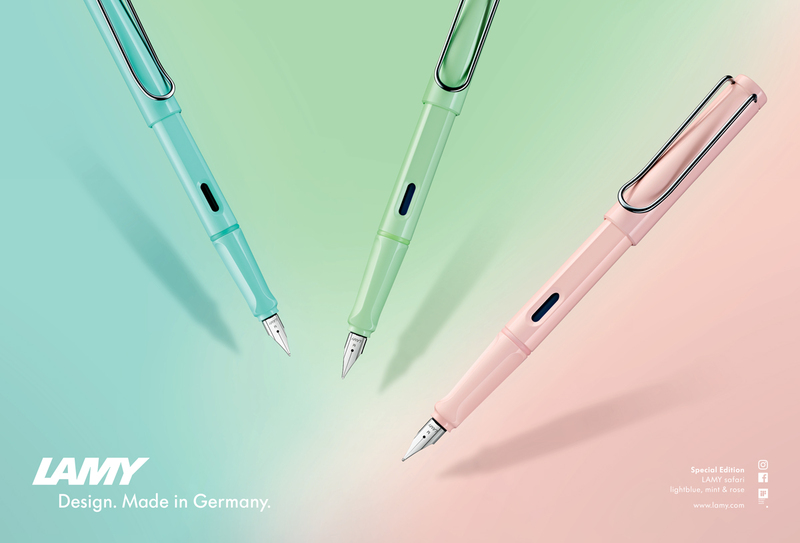 the reasons that the LAMY safari is one of the most popular writing instruments for young people. Distinctive recessed grip guarantees writing comfort. The fountain pen fills via cartridge or converter (not included) available in fine, medium and broad nib sizes. • Pre-Order available April 2019.